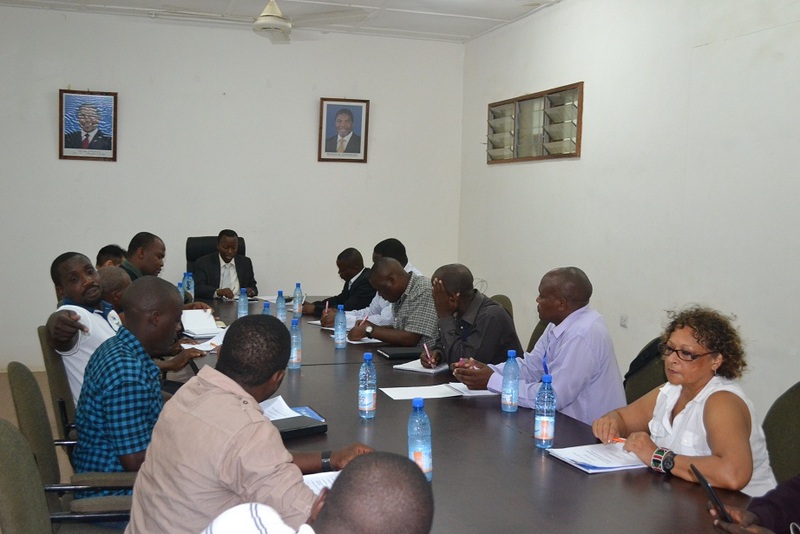 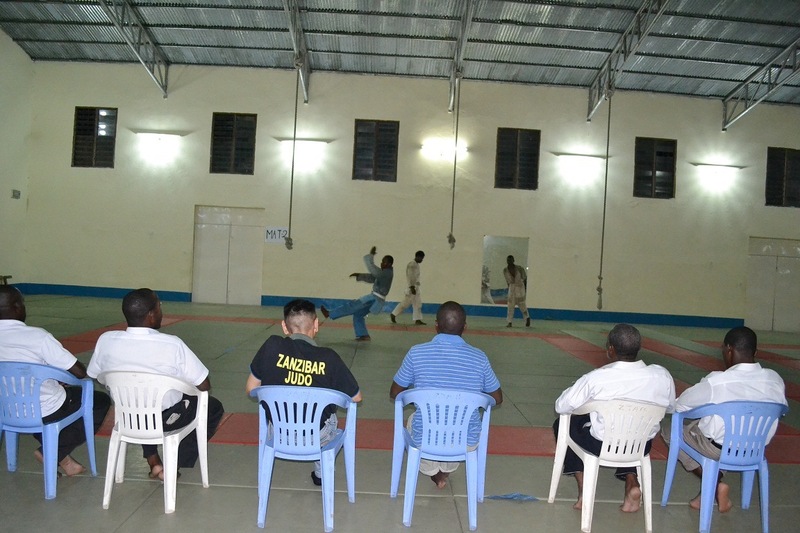 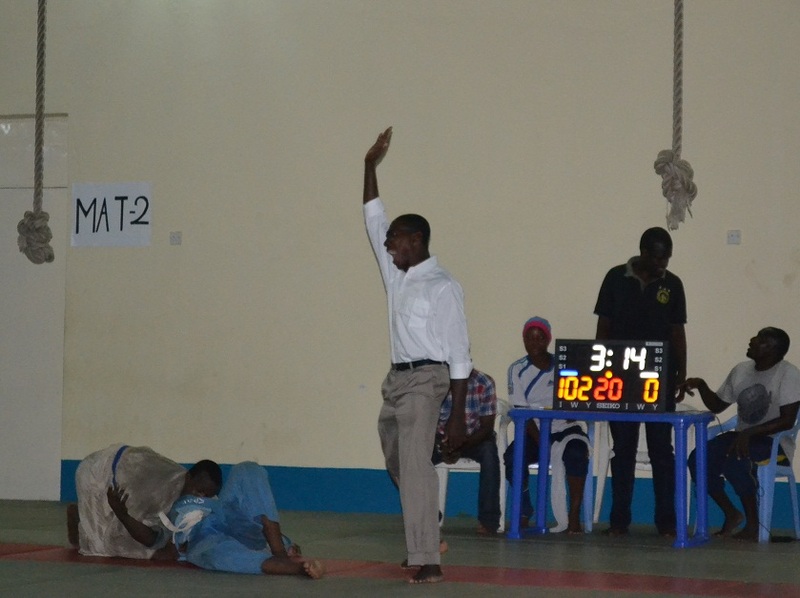 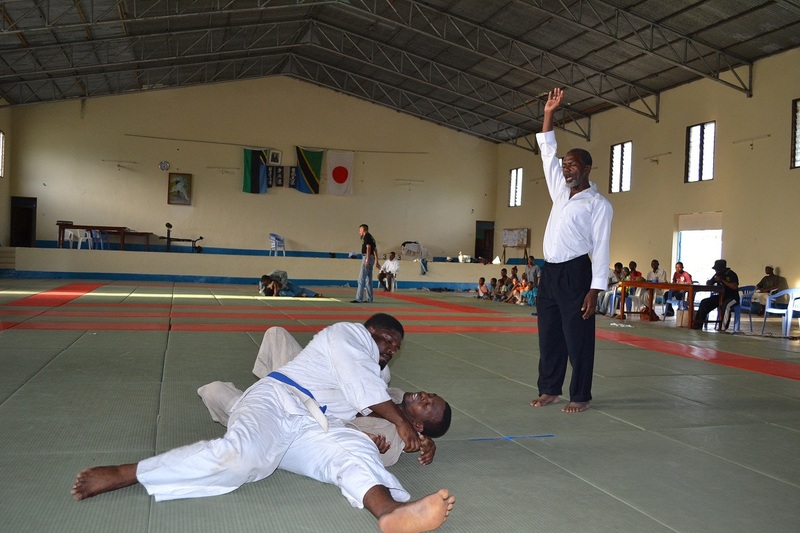 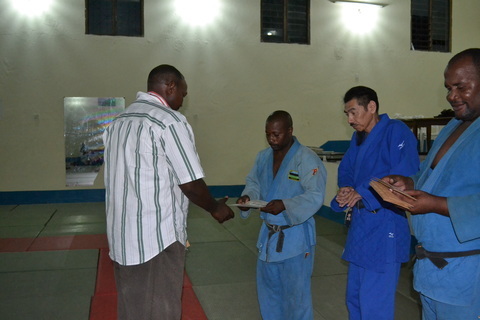 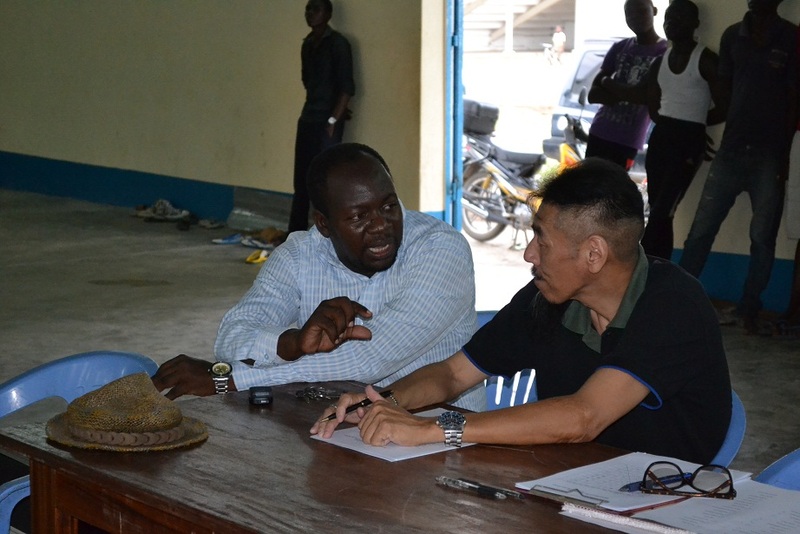 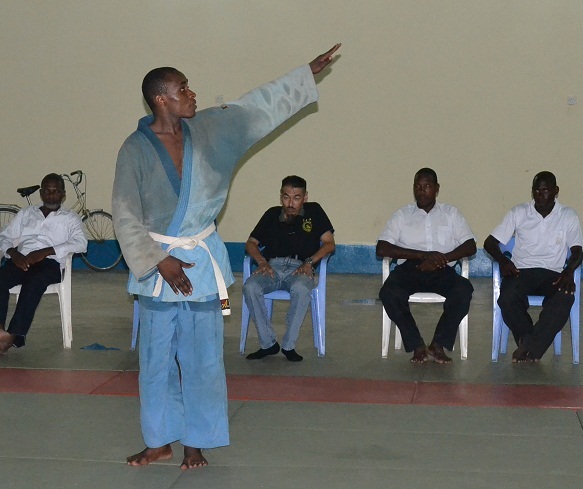 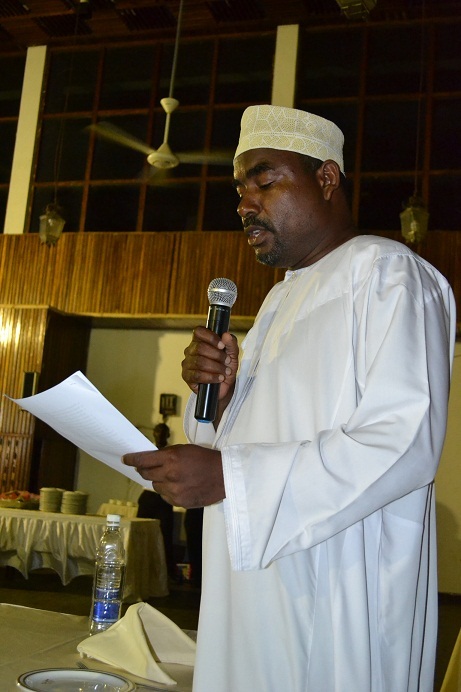 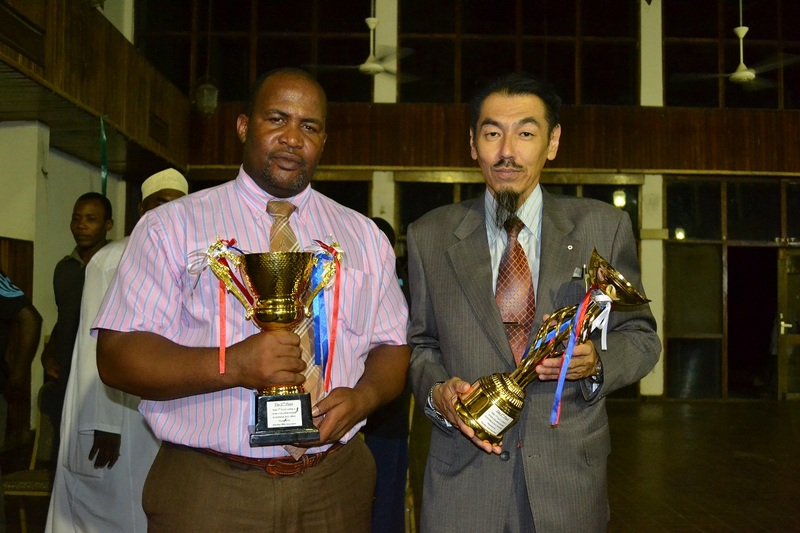 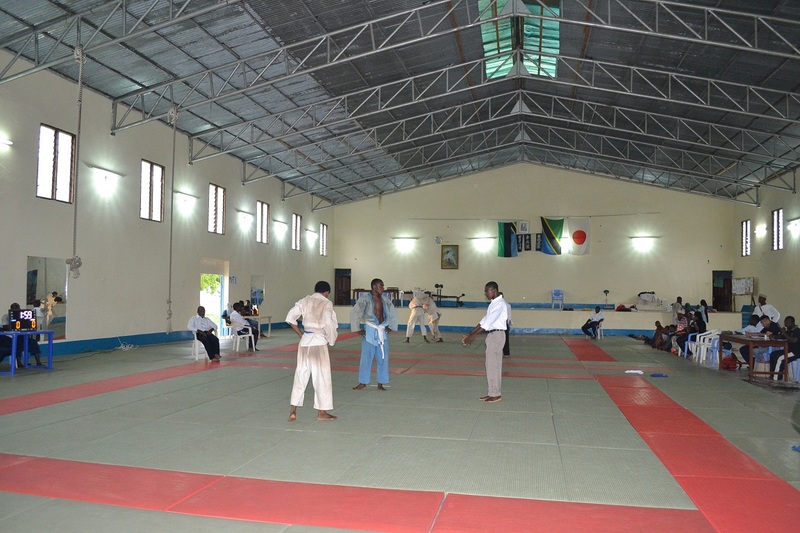 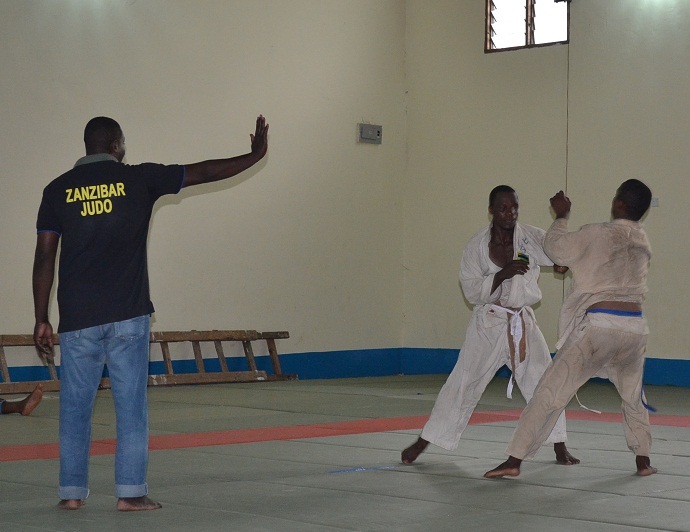 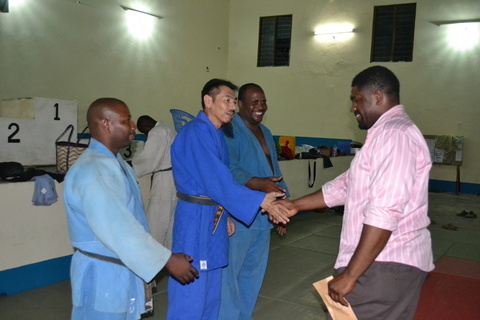 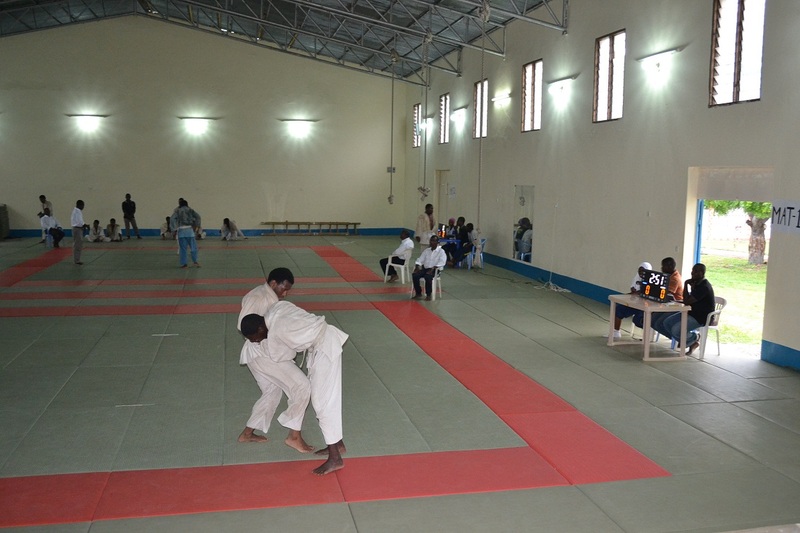 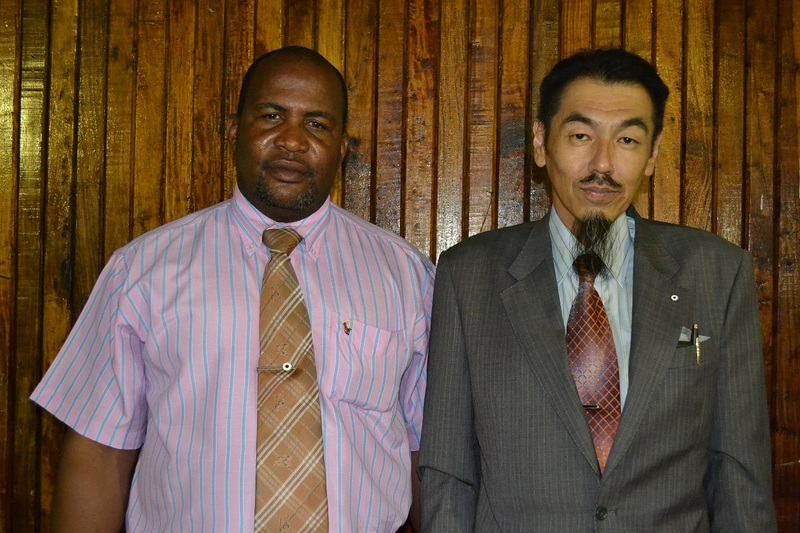 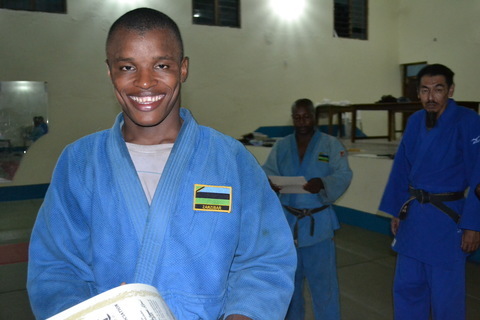 Zanzibar Judo Association organized the Examination of Black Belt (1st DAN) on 12/April/2013 at Zanzibar Budokan. 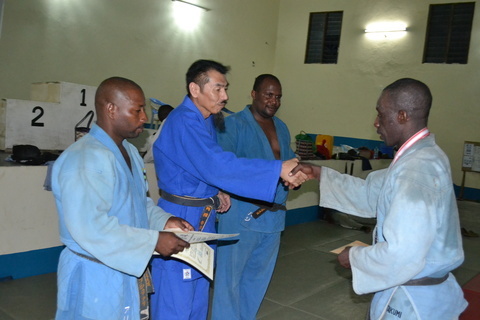 7players participated in the examnation(Competition only) of Black Belt and 2players passed. 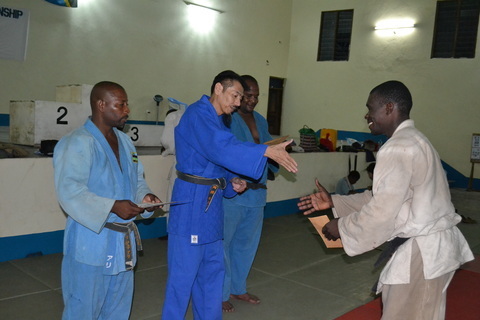 Those 2players will be examined for KATA on another day, then if they would pass it , they would get Black Belt. 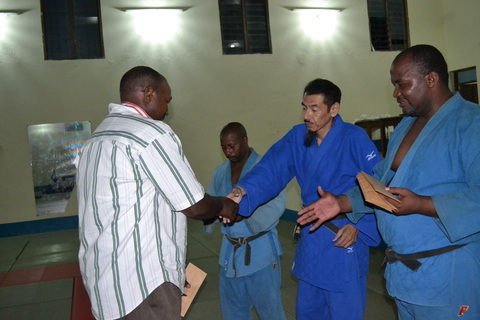 Rafael participated for the KATA examination and passed. 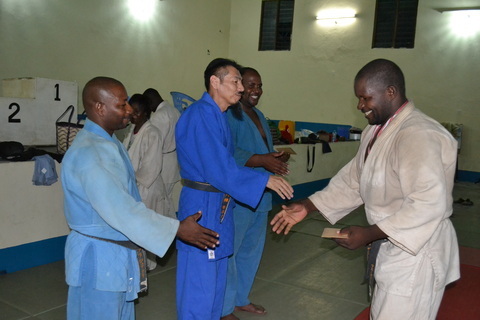 He got Black Belt by ZJA. 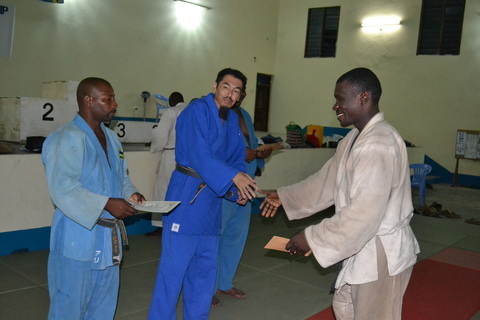 Abdulsamad supported to Rafael for KATA Examination. 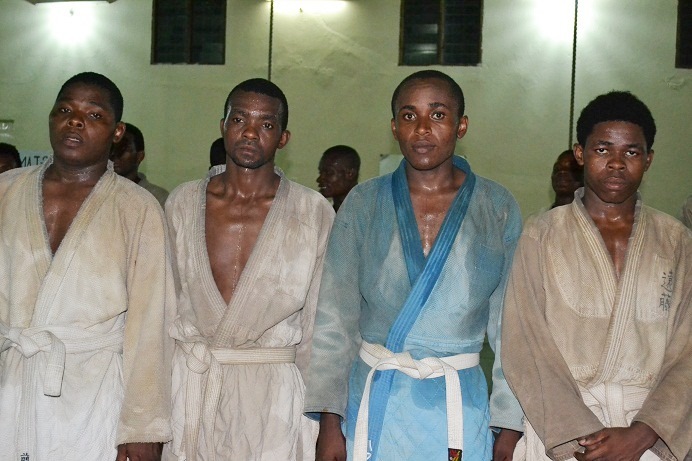 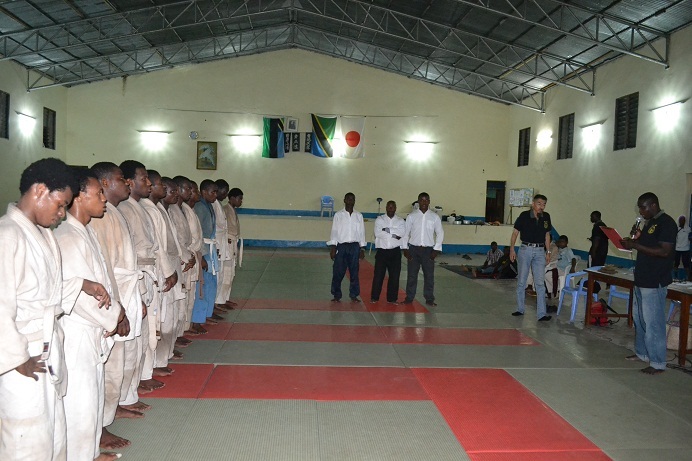 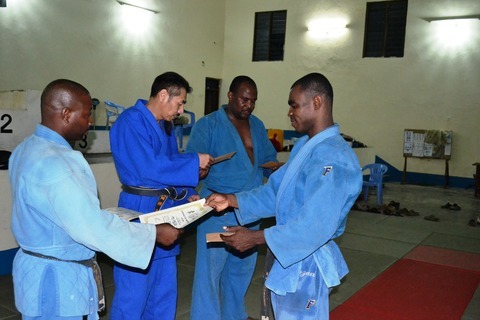 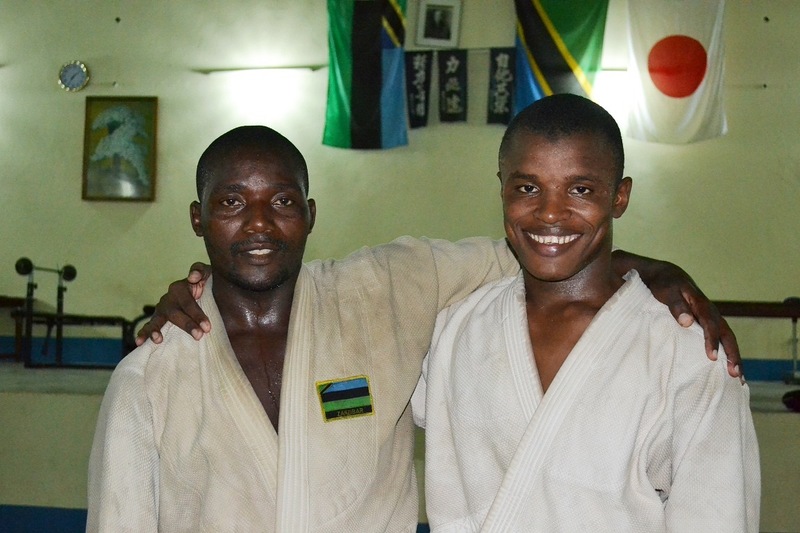 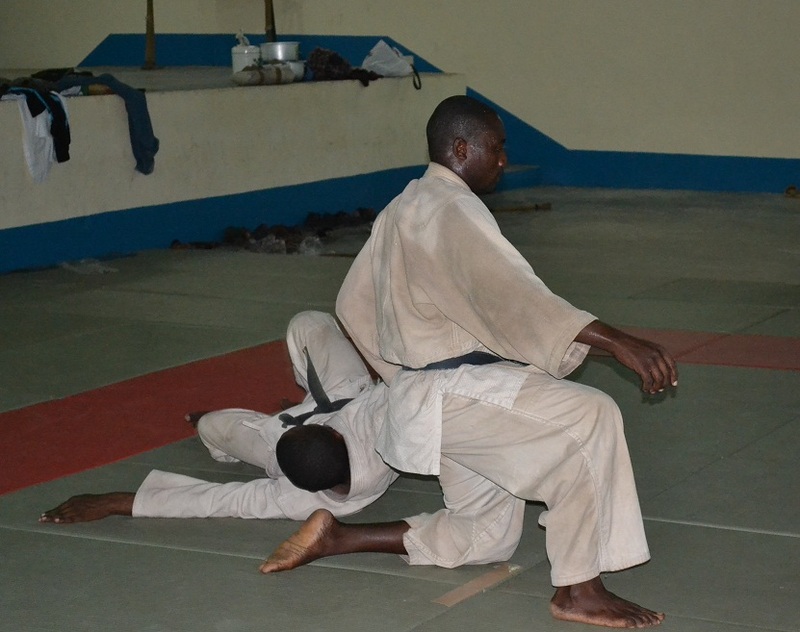 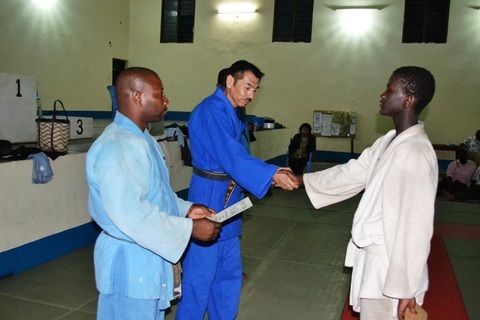 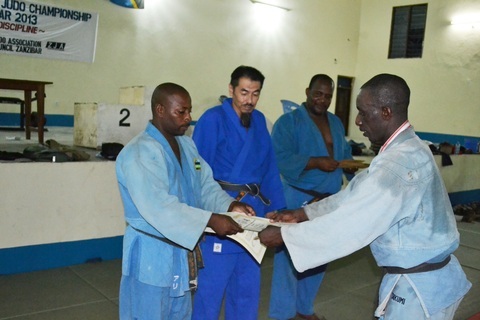 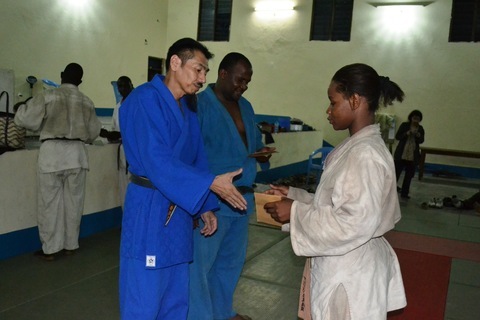 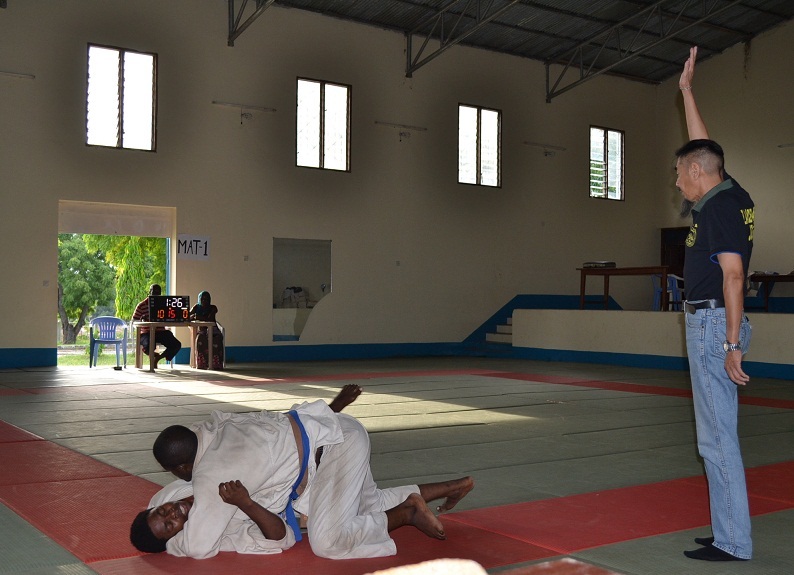 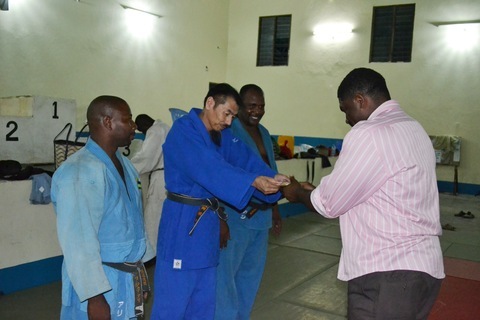 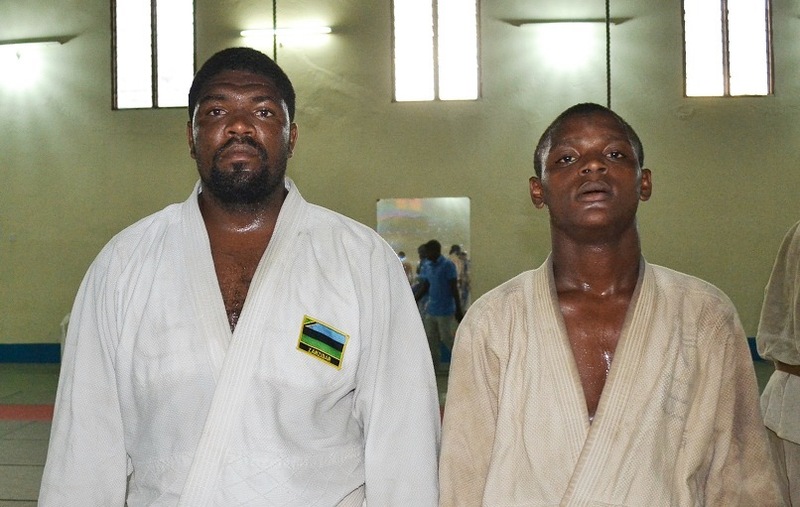 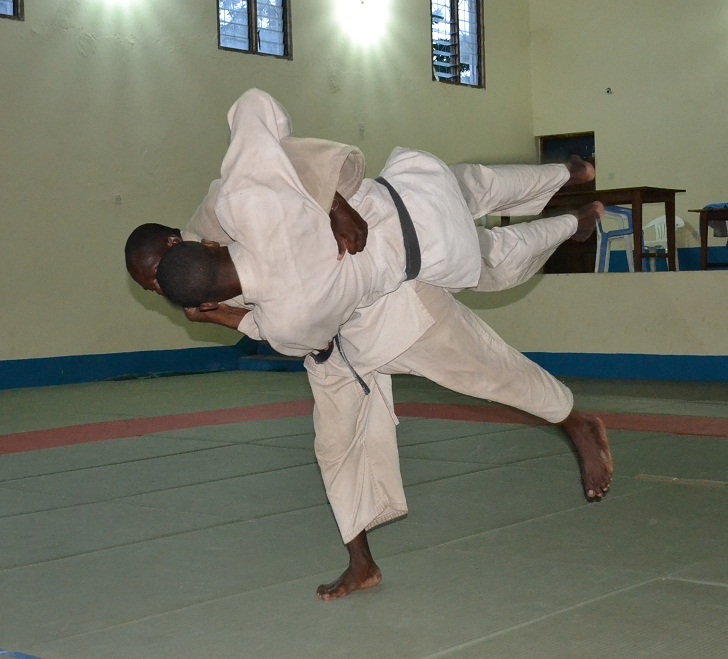 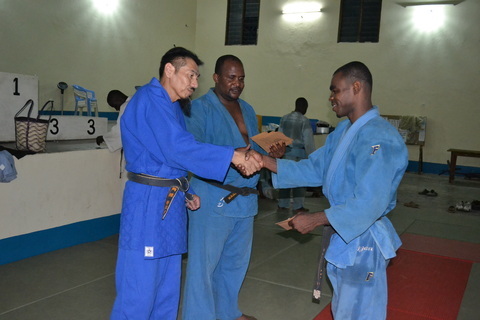 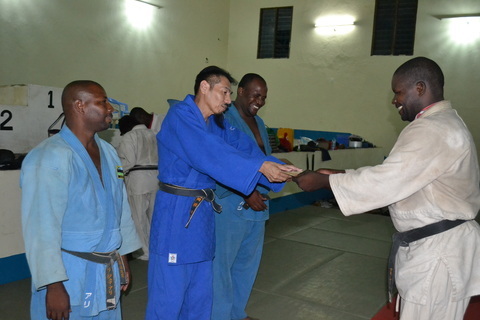 Zanzibar Judo Association organized the Examination of Brown Belt(1st KYU) on 11/April/2013　at Zanzibar Budokan. 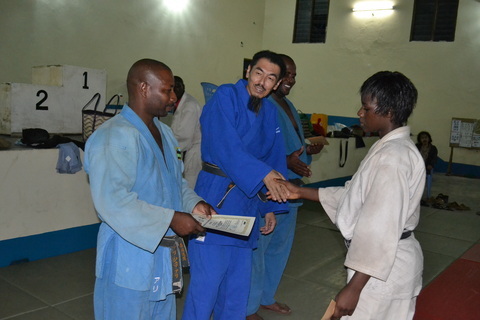 11players participated in the examniation (Competitiosn and Ukemi) of Brown belt and 4players passed. 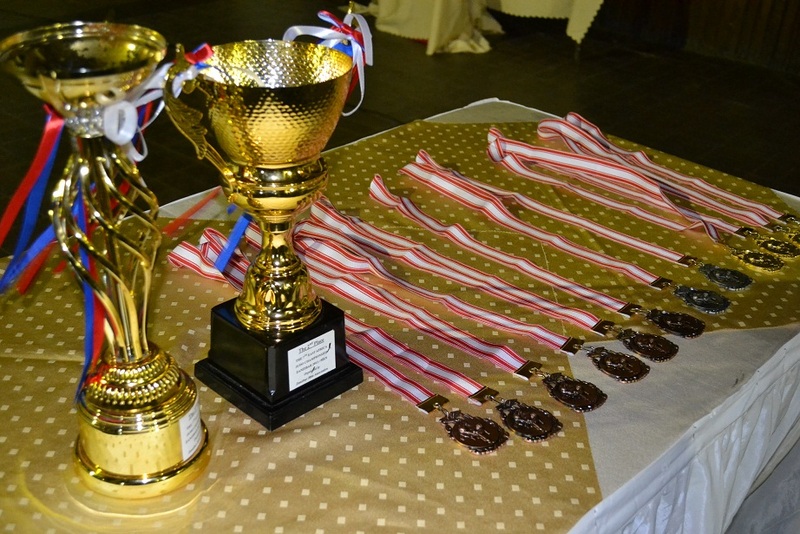 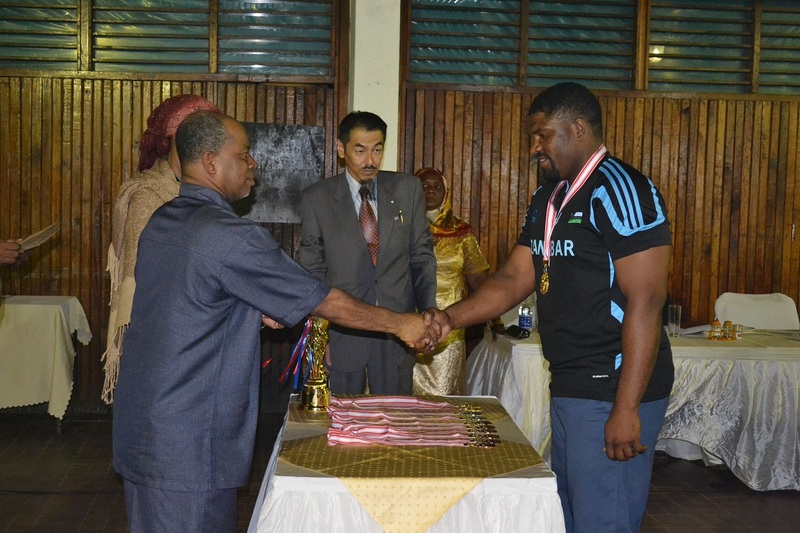 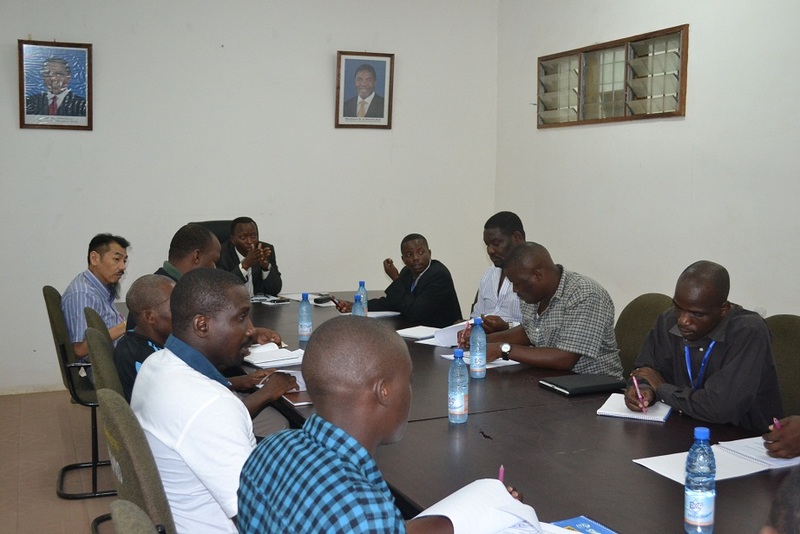 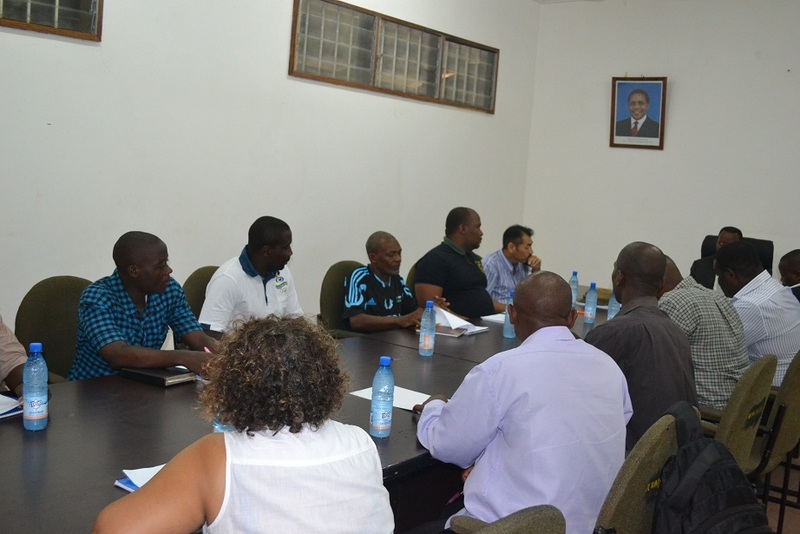 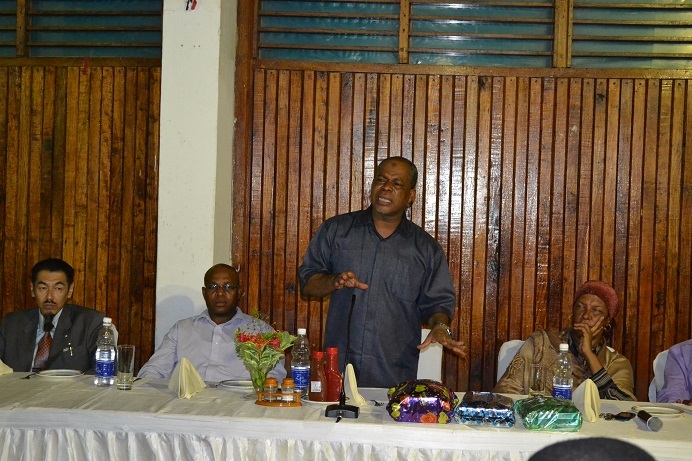 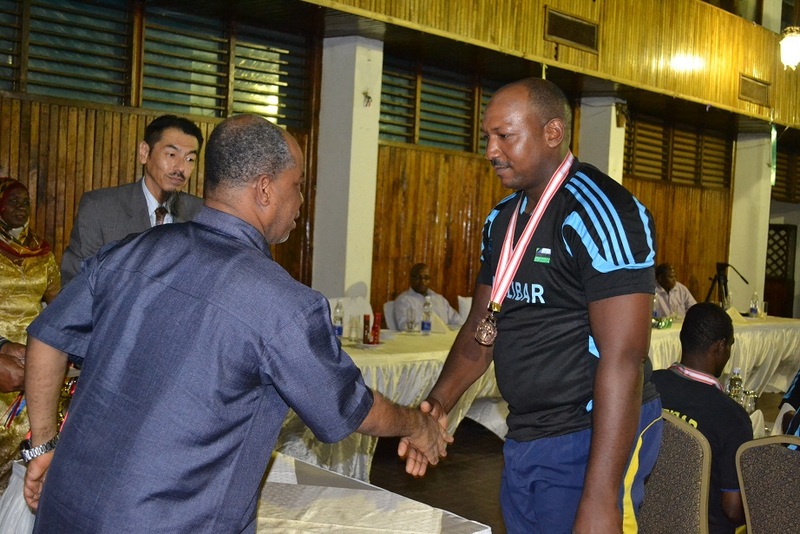 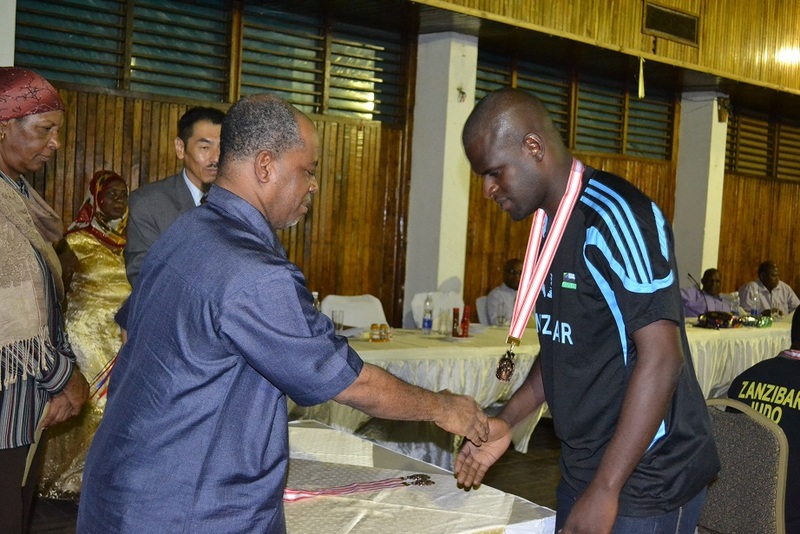 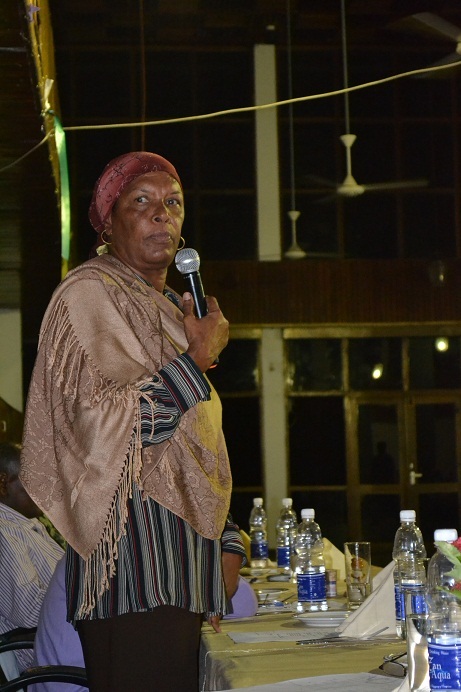 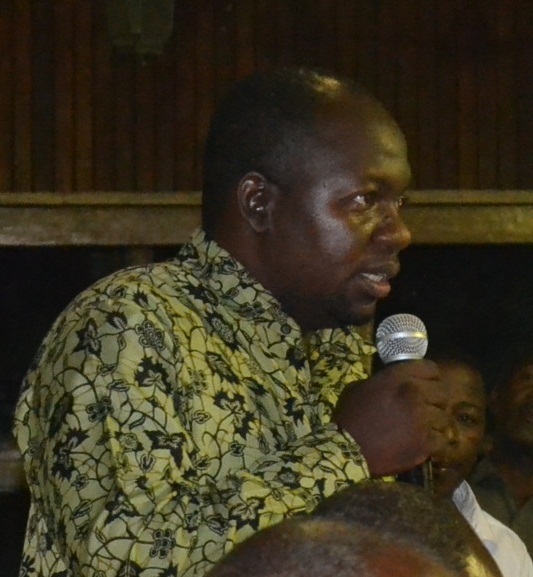 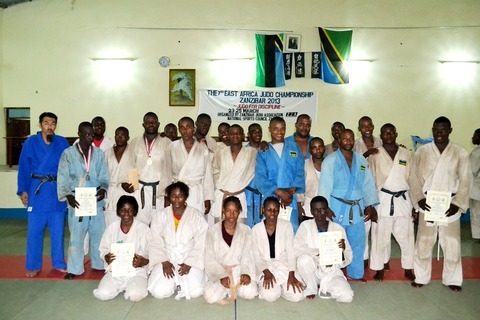 ZJA held small function on 02/04/2013at Zanzibar Budokan for awarding to medalists of 7th East Africa Judo Championship(23-24/Mar/2013/Zanzibar). 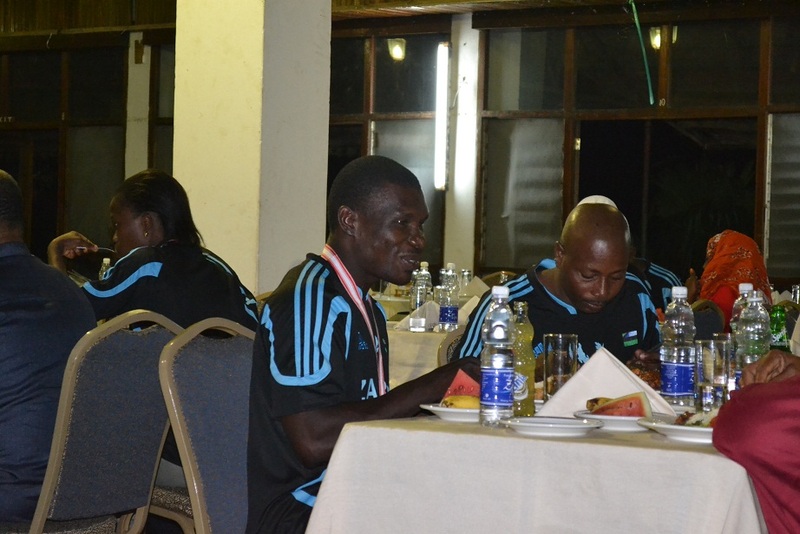 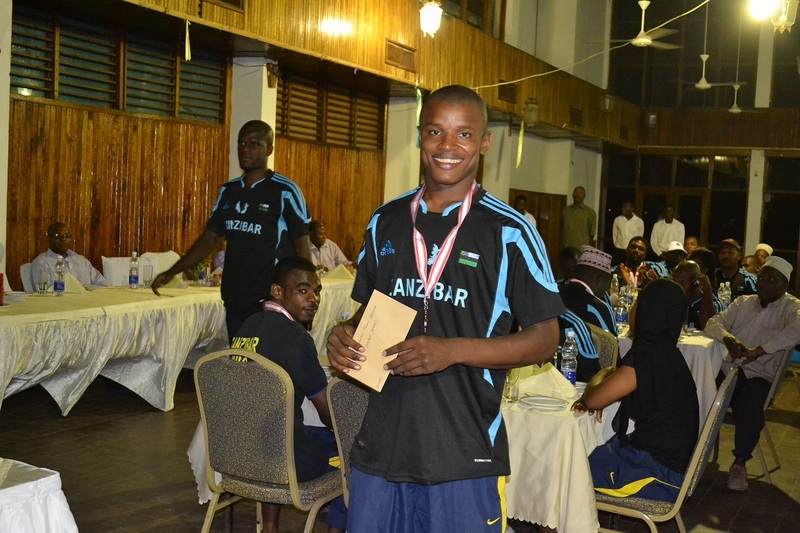 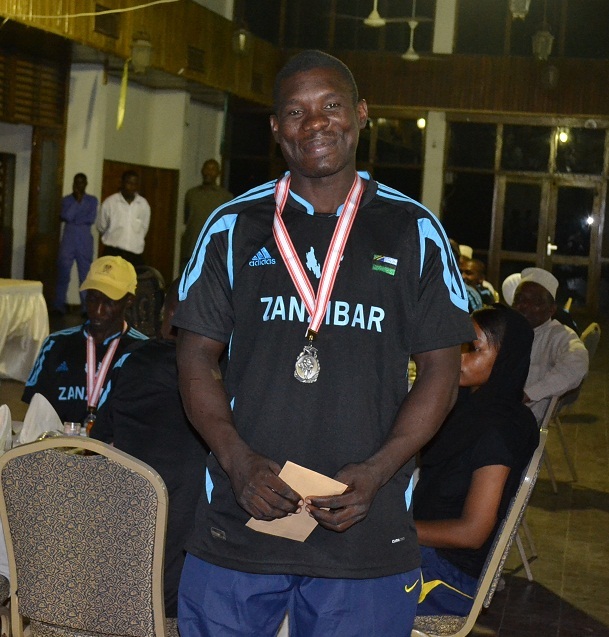 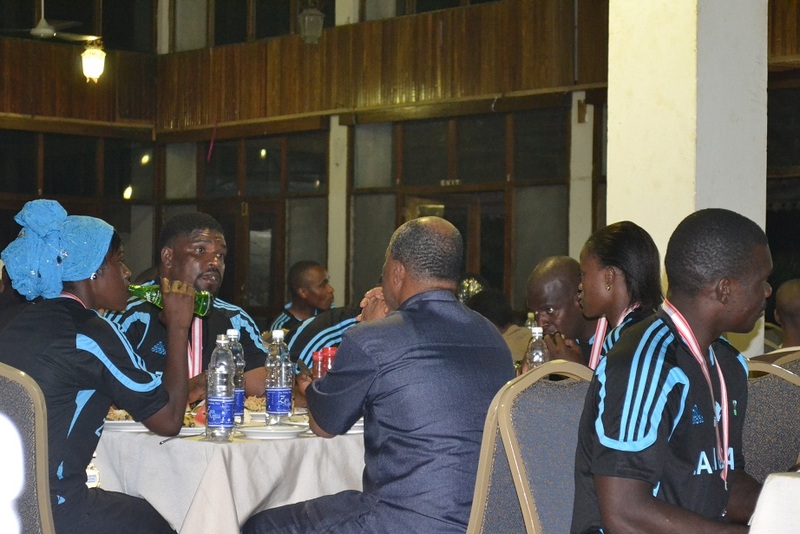 Zanzibar Team was consisted with 21playrs (16Men, 5Women) and got 4Gold medals, 2Silver medals, 7Bronze Medals. 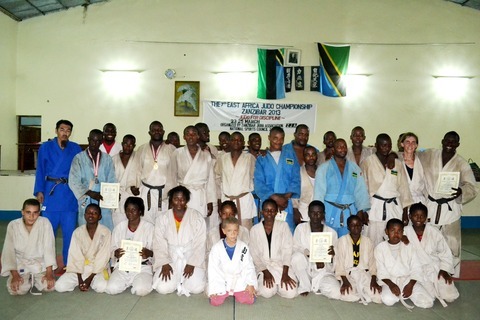 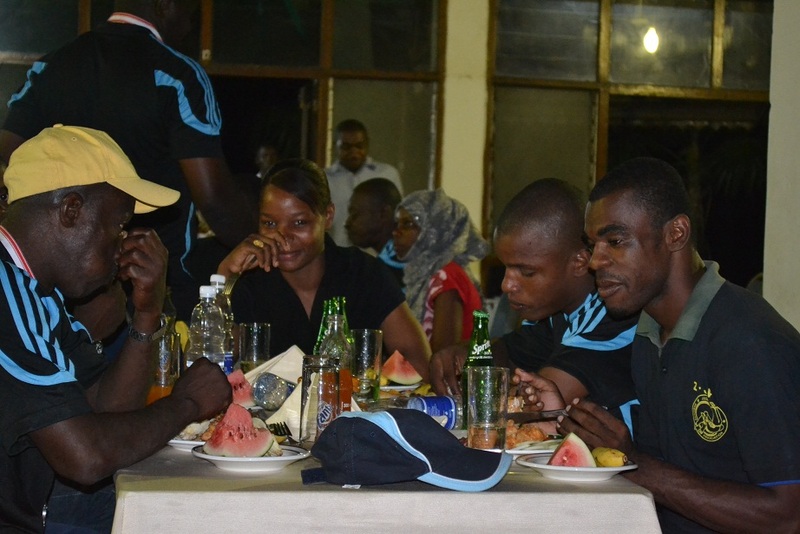 The Celebration of good fight and victory of Zanzibar in the 7th Eest Africa Judo Championship 2013~Judo for Discipline was held by Ministry of Information and Culure Zanzibar, on 28/Mar/2013 at Bwawani Hotel, Zanzibar. 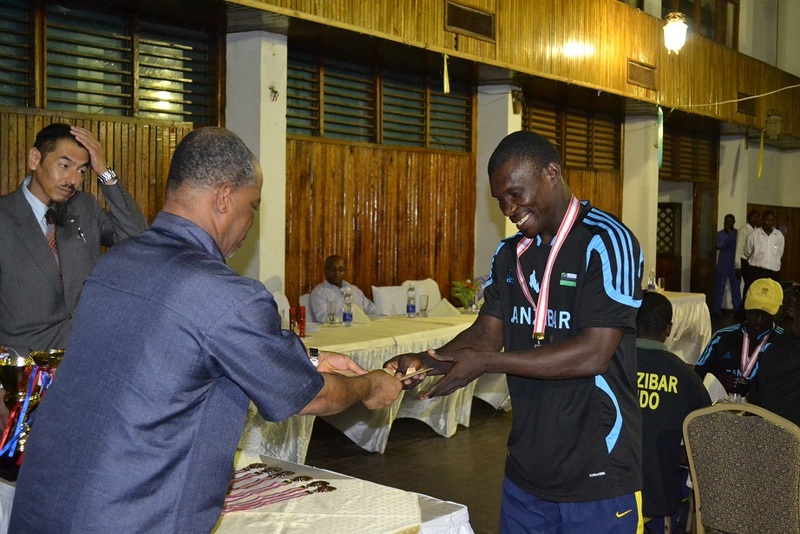 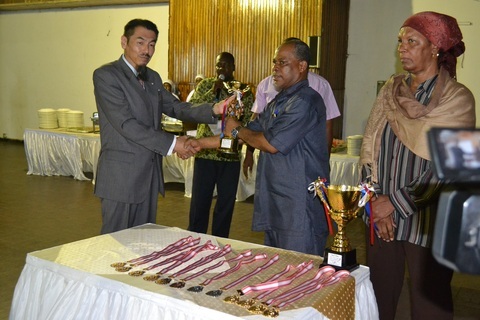 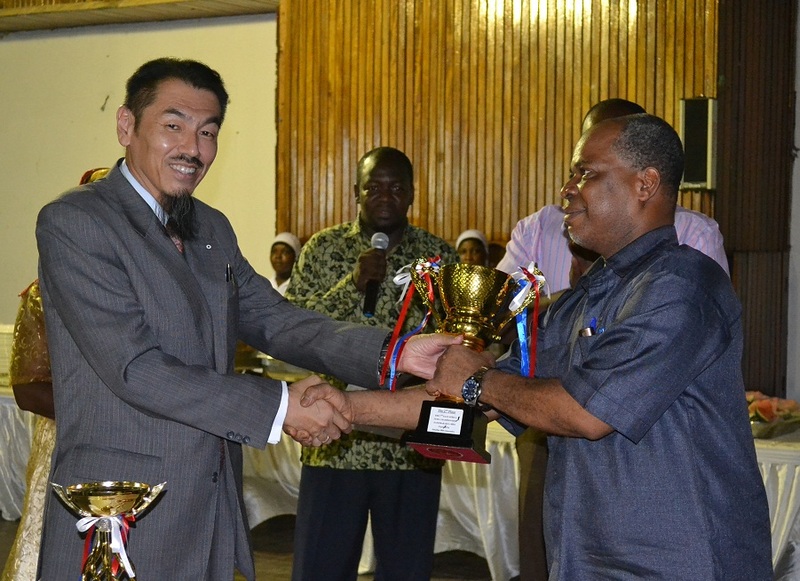 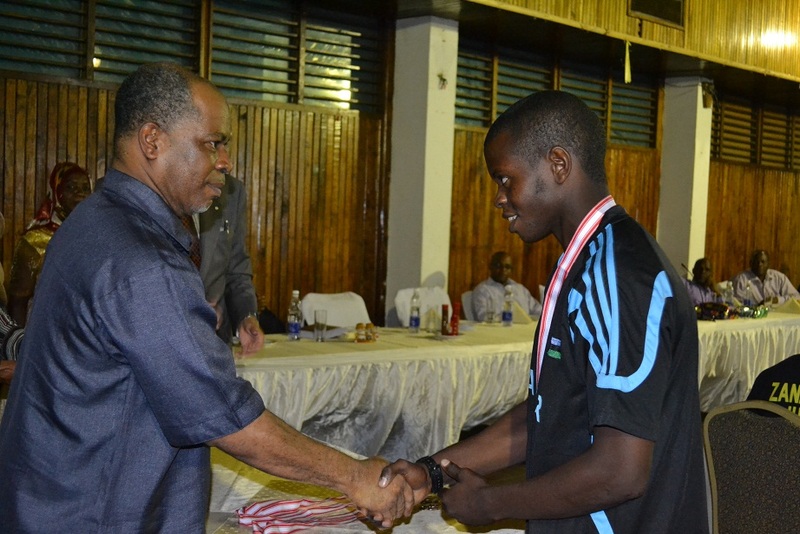 Mr.Shimaoka, the honorary president of ZJA, left all trophies to Mr. Said Mbarouk Ali, Minister of Information, Culture and Sports Zanzibar, then Minister gave the trophy and a gift of money to every medalists. 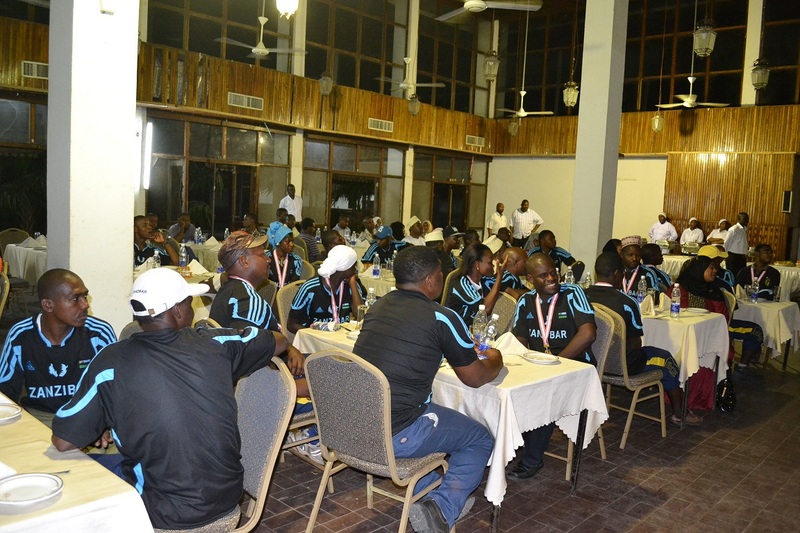 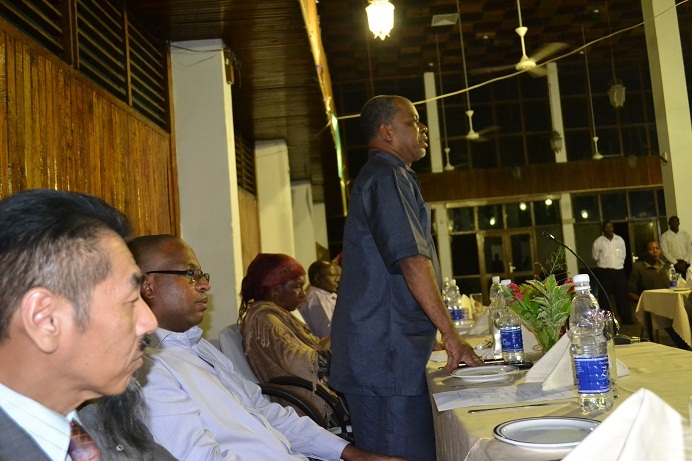 During dinner time, Minister came to every table, talk to every participator, praised everyone's effort and encouraged them all. 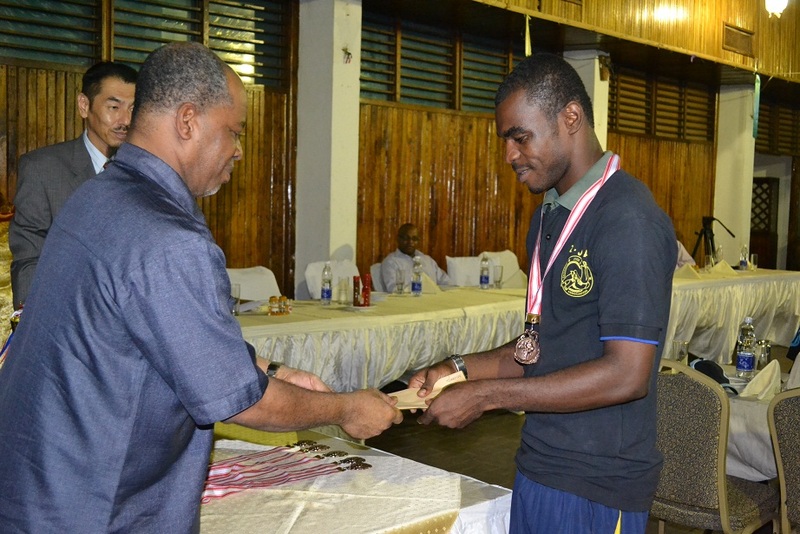 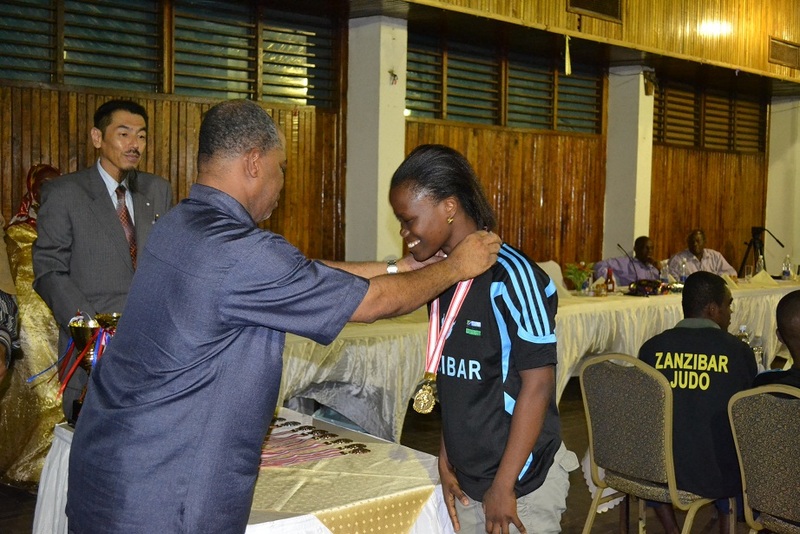 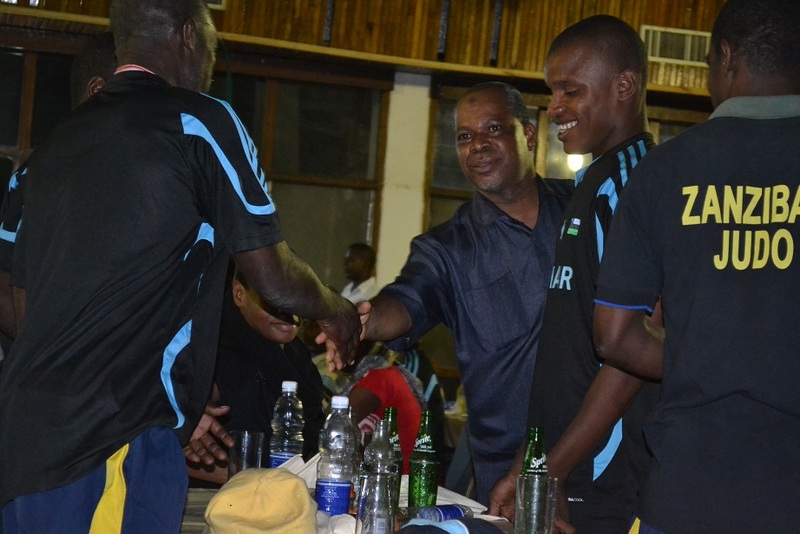 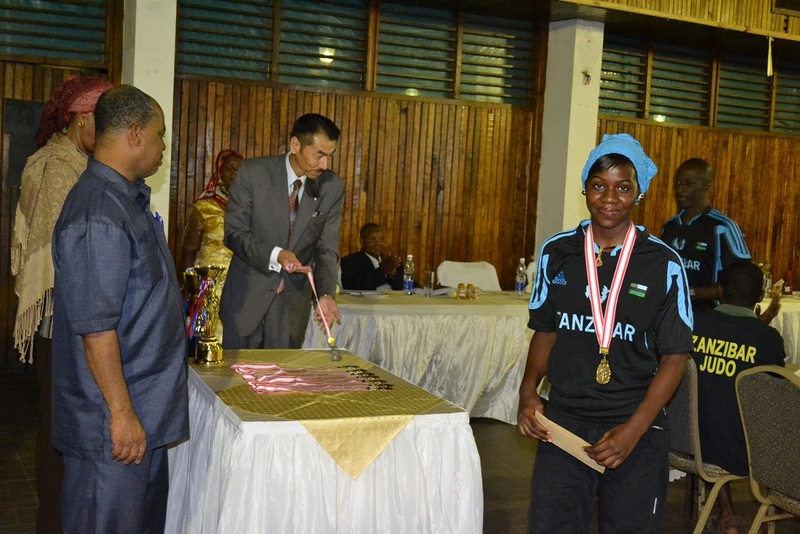 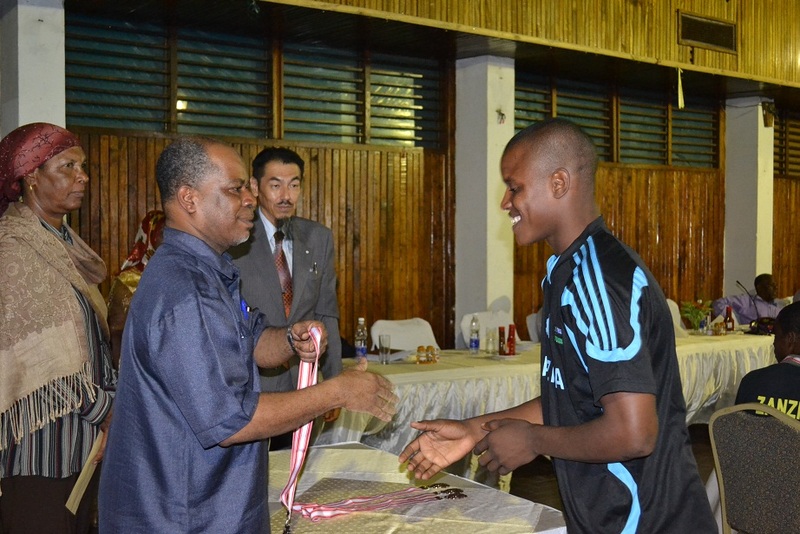 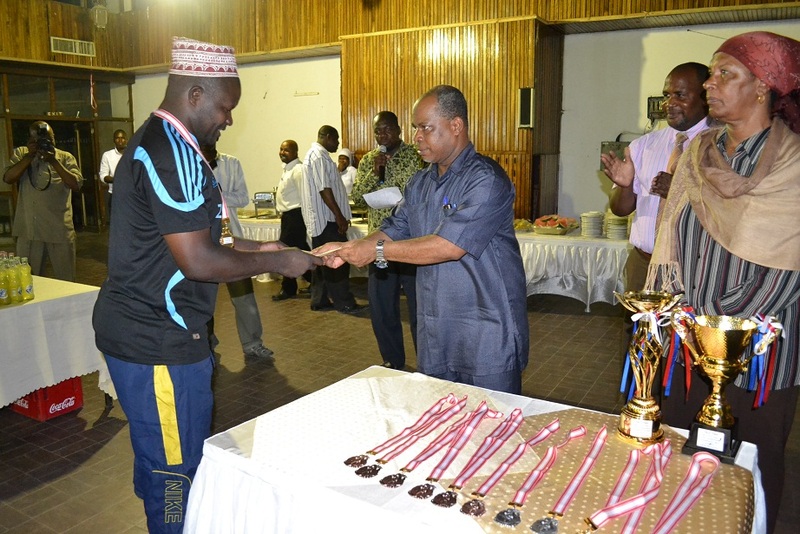 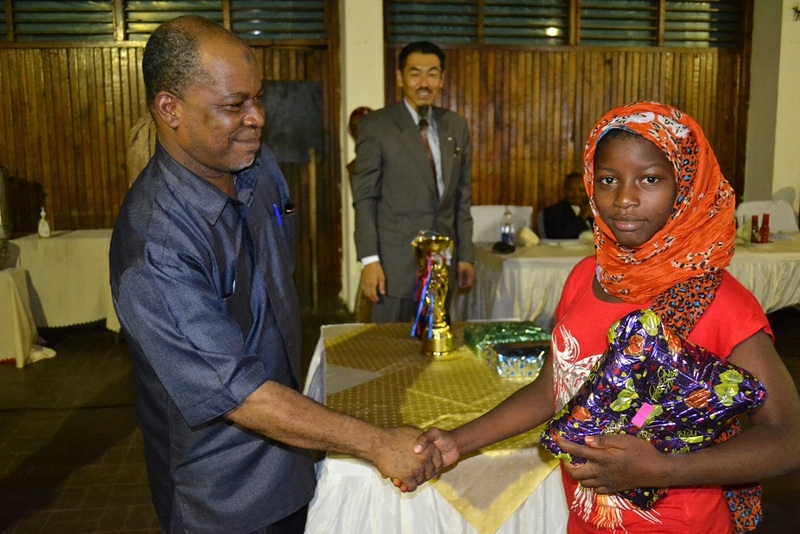 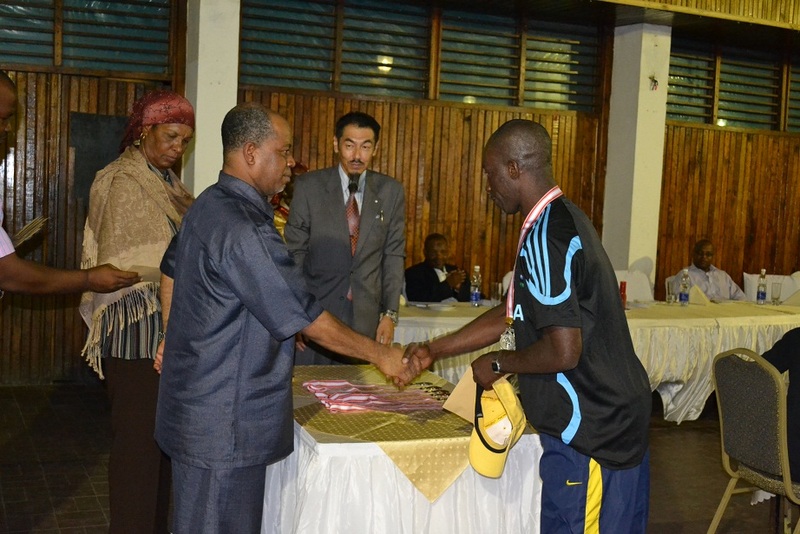 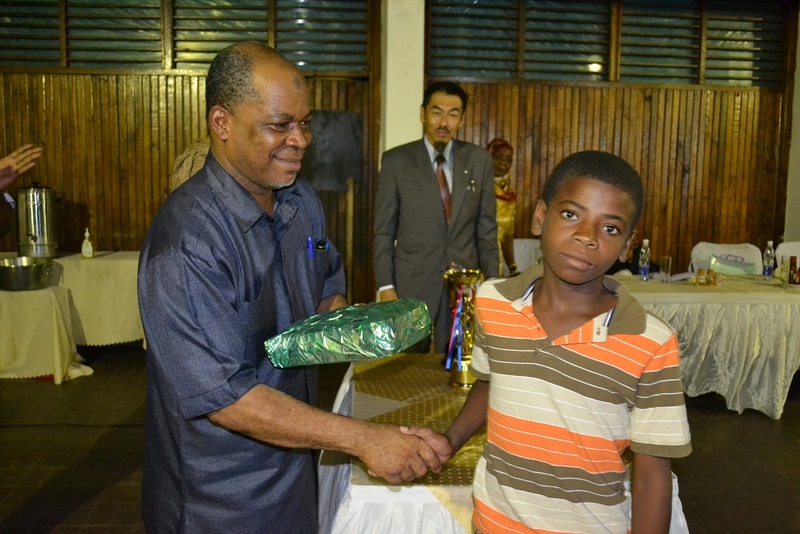 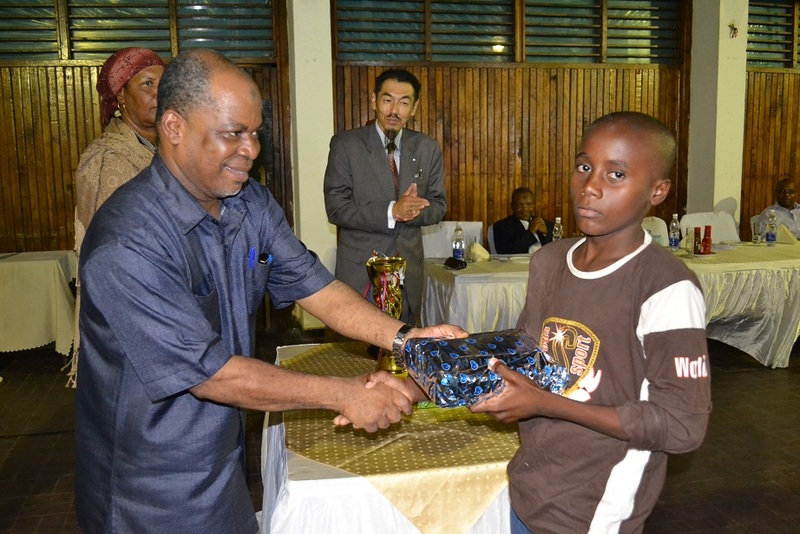 Also medalists of Zanzibar Young Stars Judo Cup were invited, and given stationaries as a gift.